Below is my collection of favorite resources. I hope this saves you time or introduces you to something that helps your family. When my son was diagnosed with autism in 2001, I wasted a LOT of time looking for resources I needed. Now, nearly two decades later, I am amazed that parents are still having to waste time looking for the same resources I spent so much time finding. Here are a list of my favorite resources. I hope it saves your family some time and money. If a link is broken, please let me know. If you have a great resource you want me to add, let me know. To read the answers, click on the plus sign to the right of the question. How can I tell whether my child is developing normally? Below are links to screeners. A Screener is just that–a quick assessment of which children need the multi-disciplinary team of experts to evaluate a child for autism. A good evaluation should be completed by at least a developmental pediatrician, a psychologist, and a speech pathologist. A full evaluation can take anywhere between 4 – 6 hours. CDC-Learn the Signs, Act Early This developmental checklist gives a detailed breakdown of what typically developing children do at various months & years. The Autism Navigator, gives a list of red flags for autism in toddlers. Or use this Video Glossary from the Autism Navigator to help parents and professionals determine when a child’s behavior is fine or an early red flags. It also shows the diagnostic features of autism spectrum disorder. Free M-CHAT Screen Tool This short test of simple questions that you ask yourself or the parent about the toddler’s behavior takes about 15 minutes and is recognized as a good first screening tool for very young children suspected of having autism spectrum disorder. It’s the same screener that your child’s pediatrician would administer to determine if the child needs an in depth evaluation. The diagnosis of autism is currently defined as a mental health disorder by the American Psychiatric Association. The definition has changed over time. The most recent definition was developed in 2012 in the DSM-V (Diagnostic and Statistical Manual of Mental Disorders) and caused a big controversy because of the major change of putting Asperger’s under the umbrella of autism. What is Asperger’s Syndrome from the Austrailian expert Tony Attwood Even though Asperger’s has officially been removed from the DSM, no one knows high functioning autism and Asperger’s better than Tony Attwood. My child was just diagnosed with autism, now what? Early Intervention & Autism: Real life questions, real-life answers, James Ball. How can I find other parents who 'get it'? Parent Mentors – the programs listed below match families to another person who has a child with a similar disability who can act as a mentor. If there’s not a parent support group in your area, this may be a good option for you. Every state has a Parent to Parent match program. So google your state’s name + parent to parent to find it. The TACA and Autism Link Mentor programs are national. Parent support groups are the best sources of information–especially when you are trying to work your way through “the system”. Here are some national and Texas resources that will help you find either a parent mentor; local support group, or an on-line chat group. There are lot of autism related conferences in every region of the country. I have made life long friends with people I have met at conferences. If your child received his/her label from the school, PLEASE also get a full medical workup. We know that children in the spectrum have underlying medical issues, most frequently digestive in nature, that often go unaddressed. However, your child could also have seizures, thyroid issues, severe allergies, etc in addition to autism. Common Treatment Options Please note that this list is not intended to be exhaustive, but rather a jumping off point for some of the most commonly used or accepted treatments available in 2018. Because of the heterogenus (individual) nature of how autism affects each person, Advocate Well does not endorse any one treatment protocol. We trust that the parent/caregiver will use this information to work with a trusted health care practitioner to develop the best plan of care for their child. Please do NOT ask your doctor about a dietary approach. Doctors get 1 class in nutrition when they are undergrads, and NO nutritional training in medical school. They know next to nothing about nutrition. Find a nutritionist or a naturopath to help you with the nutritional intervention piece. To demonstrate how behind the average doctor is about effective nutritional intervention, most still do not accept the Feingold diet despite 30 years of research to back it up. What's the latest in research? Where can I learn more about autism research? Organization of Autism Research focuses on applied research improving the lives of families. Schafer Autism Report keeps up with all things autism: research and general news. What does the state of Texas provide for children with autism? Early Childhood Intervention (ECI in Texas is administered by Texas Department of Health & Human Services) (ECI can pay for ABA services for your child, but you have to ask/advocate for it). In 2013 ECI services were drastically cut by the State. Unfortunately, many providers have left and services are much more difficult to get. PPCD (preschool programs for children with disabilities) in the public school beginning at age 3. Children with disabilities can transition from ECI to public school at the age of 3. For more information on what you need to know about school, go to the school section. The public school does not provide intensive ABA even if you advocate for it. to help you understand SSI. In order to qualify the person must meet an income requirement and a disability requirement. If the person with a disability is under 18, then the entire family must meet the income requirement, which includes NOT having more than $2,000 in any form of savings, including retirement. You must also show that the person applying is significantly delayed compared to his/her same age peers. If the person is over 18, those income requirements only apply to the person with a disability. Please note: In order to qualify for Medicaid waivers, only the child’s income is used (for all except the Tx Home Living Waiver). To understand how to keep assets for a child with special needs and still qualify for Medicaid waiver services, please read A Well-Built Special Needs Plan article at Archer Consulting Group. . The majority of children with autism receive services from the three waivers listed below: Each waiver has addition eligibility requirements. Please read the Roadmap for the details about each waiver. whether the waiver is offered in the county where you live when signing up. There are other waivers in Texas, and to learn about them all please read the Roadmap. Please note: Behavior therapy is available through these three waivers only recently as a result of the work of advocates. HCS (Home Community Services);once in, you do not age out. Person MUST have an IQ of 75 or below. Texas is one of the last states to still institutionalize people with disabilities–despite the large cry for community based services and the great expense to the state of Texas. Click here to learn more. Where can I find more information? Download the must have reading list? This was compiled by parents in Texas over time on a wide variety of subjects. It’s fairly long, so don’t be overwhelmed. Take the list as a suggestion, or jumping off place of where to find good titles. Choose one book from the personal/family journey section to begin. If you have a child under 5, I highly recommend the Jim Ball’s Early Interventions & Autism to begin with. The Autism Revolution by Martha Herbert (in the biomedical section). Another great on-line resource is the Autism Exchange: another amazing resource created by parents for parents. How can I pay for my child's ABA treatment? 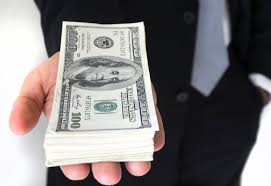 People use a combination of insurance, grants, and their own money. Please note: Coverage does NOT depend on the insurance company. It depends on the plan that company provides. For example: United Health care could provide ABA under a self funded plan to one company because that company has negotiated those benefits to be a part of their corporate health care plan. A different company could have a United Health care plan that does NOT provide ABA coverage. The good news is that a lot of progress is being made in some areas. Blue Cross Blue Shield has lost major class actions suits about providing ABA. Cigna is now offering ABA as a standard feature in their plans. Also, in the 41+ states that have enacted some type of autism coverage mandate, it may be possible to purchase a child only plan that covers the mandated services (usually ABA). This child only plan (state regulated) would be in addition to your family’s self funded (federally regulated) pan. Alliance of Claims Assistance Professionals A group where you can hire someone to help you file your claims with your insurance company. They can help you make sense of the bills that you get and how to make the most of the insurance coverage that you have. FaceBook has insurance chatgroups to network with parents around the country so that you can get help in your state. HealthInsurance.org explains about autism coverage under the ACA in this article. This position paper from the Association of Maternal and Child Health is a little technical, but it provides a lot of useful information about ABA coverage for children with autism as Children with Special Health Care Needs. Check with your state’s Medicaid to see whether coverage for ABA is provided. Medicaid: Texas Health Steps (at this time, Texas Medicaid card will not pay for ABA unlike many other states, etc. A lawsuit in 2017 brought this up, but was settled and only secured ABA reimbursement for those children named in the lawsuit. Contact Disability Right Texas if you would like to sue the state of Texas to secure Medicaid reimbursement for your child’s ABA. 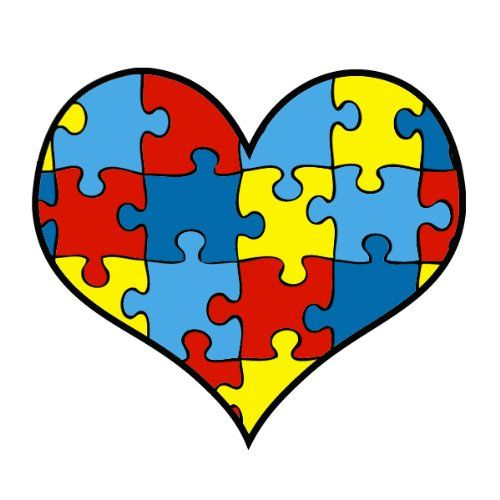 The Autism Support Network keeps a list of organizations that provide grants to families. How can I make sure my child is getting what he needs at school? Empowering parents to get the services and supports their child needs at school is one of my passions. That’s why I created the Speak Up For Your Child Bootcamp. I walk you through the who, what, where, when, and how of effectively advocating for your child. However, the links below can help you too. Legal Framework this website from Region 18 provides a somewhat friendly guide to the rules governing special education in Texas. It is in English and Spanish, and has a separate section for parents and educators. Texas Side by Side this is a free, downloadable document that places the federal IDEA law, the state special ed law, and the Texas Commissioner Rules into a columns side by side, so that you can easily see where the differences are. Very useful for ARD meetings when the staff are telling you that something is not in the law. www.wrightslaw.com a great, general special ed website run by a lawyer who received special ed services as a child. A wealth of information about every IDEA related topic that exists. The Texas Educational Service Center (ESC) are regional training hubs for educational staff and parents. There are 14 regions, and each one has a specialty focus, some even offering conferences: positive behavior supports, transition, autism, dyslexia, etc. Parents are welcome at most of the trainings. Click here to find out about the Texas Statewide Leadership for Autism Training. If you’re thinking about homeschooling your child. . . .
Council of Parents, Attorneys and Advocates; a national organization filled with friendly and knowledgeable parent, advocates, and attorneys who can answer questions and direct you to resources. Disability Rights Texas. (they are limited on amount of help and types of cases that they can take). Partner’s Resource Network the IDEA funded parent education organization for Texas. They offer training, webinars, and answer questions. The ARC of Texas has local chapters throughout the state that offer training in topics related to special education. To find one near you click here. What’s the difference between IDEA and 504? There are many great FaceBook groups. Do a search to see if your school district already has a parent group started. If not, why not start your own? Texas Autism Supplement; for all children in Texas who are eligible for special education under AU (autism) the considerations listed in the document must be considered. The supplement does not add to special education under IDEA2004, but rather clarifies considerations unique to children with ASD. Texas Statewide Leadership in Autism–Texas Education Agency’s (TEA) autism initiative run by Region 13. The “training” section lists all the autism specialists at each of the 20 regional education service centers (ESCs). The “manual” lists a compilation of teaching methods supported by research. Texas State Autism Conference– The next conference is for Dec 3-5, 2009. There are trainings from past conferences available on DVD that can be checked out from your local ESC. Many local parent groups sponsor annual resource fairs. Check the “how do I connect with parents?” section to find a local group near you. Also, check with the special education director in your district, because they are supposed to be keeping up with community resources for parents in the area. You may be able to attend a conference as a part of the parent training requirement of the autism supplement. My child is about to age out of school. How can I plan for what comes after high school? Ideally, you will want to start planning for transitioning out of public school services starting at age 14. The autism supplement allows transition planning for Texas students with autism to start at any age. Be sure that when your student with disabilities turns 17, you ask the school about what form they need from you in order to continue representing your student as a part of the IEP/ARD committee. Once your student turns 18, they can represent themselves without you at the ARD/IEP meeting. signing them up for the state vocation training and support program if appropriate. In Texas, that is now the Texas Workforce Commission. You ideally want to sit down with the student, and plan out how they can pursue their interests in a future job or education path. A key part of this will be a good assessment. Peter Gerhardt (the US thought leader on services for adults with autism) has developed an assessment to help develop a plan. James Partington, the BCBA behind the ABLLS, has developed the Assessment of Functional Living Skills. Students are allowed to receive services at public school until the age of 21. Each state interprets that a little differently, and in Texas that means until the end of the school year when they turn 22. While schools offered some programs for students with more academic challenges, they have been slow to offer programs for higher functioning students with behavior or executive functioning issues who may not be ready for college from an organization and social skill level. A new law that was passed in 2017 changes that, and you will begin to see more programs along those lines. Click here to learn about parent’s role in transition process. Texas transitions conference I cannot recommend this conference highly enough. It is very empowering to hear speakers talk about programs and what is possible in different areas. You will meet service providers and other parents who will inspire you about what your adult learner can do. What about my adult with autism who has aged out of public school? A fabulous starting place is the 2007 Rehabilitation of Individuals with Autism Spectrum Disorders. Also, if you haven’t yet, review some of the links in the previous question about transitioning out of high school. Much of the same information applies. Transition Planning–Transition planning should have started when the person was 14. However, it’s better late than never to plan. People with autism can have a great life in the community! A good assessment of strengths and weaknesses for adult life is the Assessment of Functional Living Skills from James Partington. for Free Special Ed Advocacy Tips, Resources, and Updates!